A versatile solution for small project studios. If you need a versatile recording interface with great sound and enough analog inputs and outputs to mic a large drum kit or a small band, we have two words for you: FireStudio™ Project. The FireStudio Project’s front panel features six mic/line inputs and two mic/instrument inputs, each with high-headroom, sweet-sounding XMAX Class A solid-state preamps, plus two line-level audio outputs, MIDI I/O, stereo S/PDIF digital I/O, and an ultra-loud headphone output. That’s easily enough connections for a small project studio. The mic/instrument channels even have insert loops so you can add outboard effects. Need more? 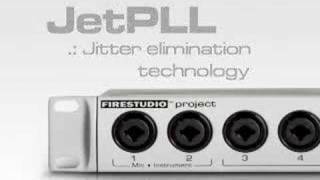 Daisy-chain the FireStudio Project with a second FireStudio Project, or with any interface in the FireStudio family, for up to 52 inputs and outputs. With FireStudio-series interfaces, your rig can expand to match your growing needs. XMAX preamps + 96 kHz sampling = great sound. The FireStudio Project features high-quality A/D/A converters with 114 dB dynamic range and the same award-winning Class A XMAX preamps found in our popular StudioLive® mixers, so you can record and play back 24-bit audio at sampling rates up to 96 kHz with remarkably low noise. And with PreSonus’® lauded JetPLL jitter-elimination technology, you get the tightest, most reliable digital sync in the industry. In short, the FireStudio Project provides the audio quality you need to succeed. What’s so great about an XMAX preamp? The microphone preamplifier is a key component in the audio quality of a recording, and all mic preamps are not created equal. The FireStudio Project includes custom-designed, high-voltage, discrete, XMAX Class A microphone preamplifiers that are suitable for use with all types of microphones. The job of a microphone preamplifier in an audio interface is to boost a microphone-level signal to line level before conversion to the digital domain. A good preamp boosts the level to almost 400 times that of the original signal, making the preamp one of the most important stages in an interface. Inexpensive or poorly designed preamps can lead to thin, noisy, or even harsh and brittle results. But with XMAX preamps, the sonic quality is limited only by what microphone you plug into it. The FireStudio Project’s six mic/line inputs and two mic/instrument inputs make it extremely versatile, enabling you to use it with almost any source. You also get two line-level audio outputs, MIDI I/O, stereo S/PDIF digital I/O, and an ultra-loud headphone output. If you need more inputs, simply daisy-chain the FireStudio Project with a second FireStudio Project, or with any interface in the FireStudio family, for up to 52 inputs and outputs. With FireStudio-series interfaces, your rig can expand to match your growing needs. Zero-latency monitoring and software mixing and routing. The FireStudio Project features an internal 18-input software mixer/router that allows you to set up 10 cue mixes. 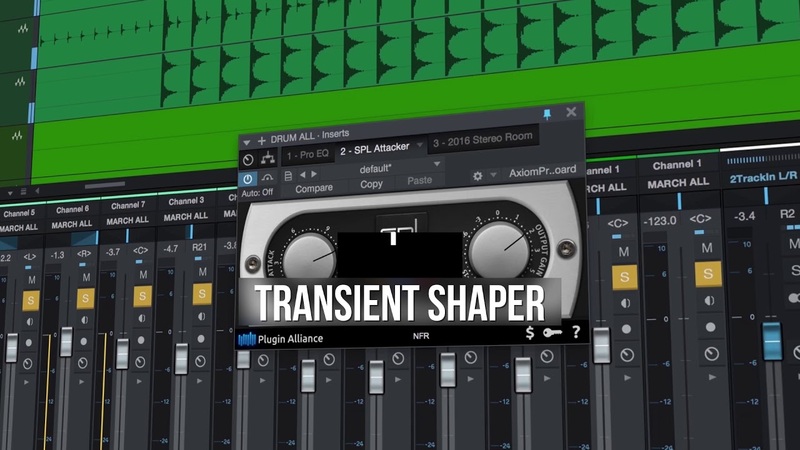 A mix control blends the input signal with the computer playback stream for zero-latency monitoring so you can overdub new tracks without hearing annoying delays. You can set up cue mixes in our Universal Control control-panel software or amazing Studio One® Artist DAW software for Mac® and Windows®, both of which are included. Learn more about Universal Control. Universal Control is a powerful, flexible, and easy to use Mac and Windows control-panel application for creating mulitple mixes from your input and output signals for each of the FireStudio Mobile’s output pairs (mains, headphone, and S/PDIF). This application also allows you to daisy-chain FireStudio-family interfaces. Universal Control consists of the Launch window and the Device window. In the Launch window, you can set basic parameters such as sample rate, clock source, and buffer size. The Device window of the FireStudio Mobile is the FireStudio Mobile Mixer. The Mixer section of the Universal Control Panel was designed to look and feel like a hardware mixer, so most of the features may already be familiar to you. From this mixer, you can create a zero-latency mix for each output and can route playback streams from your host application. The FireStudio Mobile Mixer provides three independent, stereo output mixes: one each for the mains, headphones, and S/PDIF. A virtual output meter to the right of each channel fader displays the post-fader output level of each stereo pair. The FireStudio Project works with virtually all Mac and Windows audio-recording software but it offers additional functionality when used with PreSonus’ Studio One 3 Artist DAW. Built by creative people for creative music production, Studio One 3 is easy to learn and enables you to compose, record, and produce your masterpiece without getting distracted by the tools. Studio One also enjoys a robust online community of enthusiastic and helpful users you can turn to for advice. A professional solution designed for the project studio. A great companion for any recording software, the FireStudio Project comes equipped with Studio One Artist to provide you with a complete recording solution right out of the box. So if you need a versatile, expandable, professional recording interface that is designed specifically for project studios, check out the FireStudio Project at your favorite PreSonus® dealer.